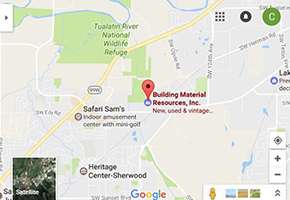 Take a virtual tour by flying drone of our huge warehouse and outside yard, Discover where saving money on Building Material and more becomes a way of life. We are happy to announce that we are an outlet for Versetta Stone. A new quality money saving product that gives you the beauty of Stone with the simplicity of Siding. Come check out our display of this amazing product. From new construction to remodeling, exterior facades to stunning interiors, Boral Versetta Stone adds the beautiful detail of traditional masonry with a simple modern installation method. Offering a complete system founded on quality, speed and selection. This product is about $12.50 a square foot for the materials and can be installed quickly as it is mortarless and attaches quickly with screws. It is engineered to prevent water intrusion issues. Expect to pay $25 or more per square foot installed of the traditional masonry applied product, What a savings. Since this quality product comes in small manageable sizes it is easy to repair any physical damage that could occur in the future and the installation goes up fast even by the first time user. Our Family owned business welcomes you to discover to well of a kept secret on saving serious money on Building Material. Your current and future project are going to come in way under budget by shopping BMR (Building Material Resources).